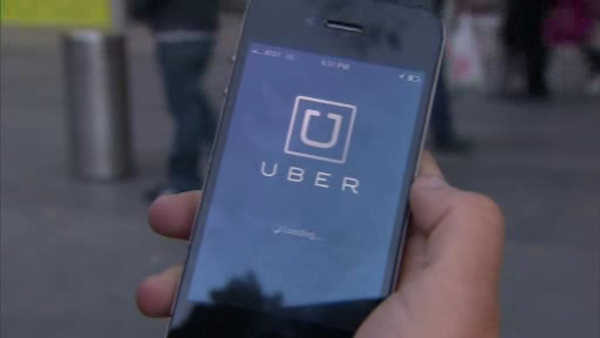 NEW YORK (WABC) -- For five years, New Yorkers have been relying on Uber to get them to and from work, nights out, and celebrations. This week, in honor of their 5 year anniversary in the city, Uber is teaming up with pizzerias to give away free slices of pizza! Each day of the week, there will be free pizza in a different borough. Uber will also offer $5 uberPOOL flat rates for trips that start and end in the day's borough. So, how do you get a slice? Just show the Uber app at the day's participating locations between 11 a.m. and 6 p.m.
"This week marks our fifth year in New York," reads a statement on Uber's website. "To show our thanks to this great city and its people, we're kicking off a 5-day celebration: 5 days celebrating 5 boroughs with $5 uberPOOL flat rates. And there'll be pizza, too, of course." Participating pizzerias that have partnered with Uber to give away free slices are posted below.